You are invited to participate in the 13th National Allied Health Conference as a sponsor and/or exhibitor. As the national conference for the Allied Health in Australia, we are committed to developing an event that fosters discussion between our delegates and your organisation. The organising committee anticipates 600 delegates to attend the conference from among all disciplines of the Allied Health industry plus academics and policy makers. Allied Health disciplines include Dietetics, Occupational Therapy, Chiropractors, Osteopathy, Orthotics and Prosthetics, Physiotherapy, Psychology, Podiatry, Social Work, Speech Pathology, Exercise Physiology, Music Therapy, Art Therapy, Allied Health Assistants, Biomedical Scientists, Medical Scientist, Laboratory/ Medical Technicians, Optometry, Orthoptics, Audiology, Sonography, Radiography, Radiation Therapy, Nuclear Medicine Technology, Radiation Oncology Medical Physicists, Diagnostic Imaging Medical Physicists and Pharmacy. A variety of sponsorship packages are being offered. We also invite any new proposals you may wish to put forward; the Committee is happy to negotiate a package that will be of maximum benefit to your organisation and the meeting. 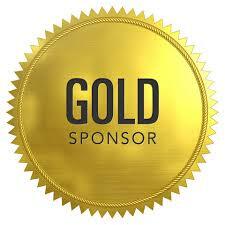 Please contact Anna Patterson at Conference Design Pty Ltd to discuss sponsorship and exhibition opportunities. Please click on the packages below to see the inclusions. All costs are in Australian Dollars and include GST. Becoming the Meeting Partner gives you the opportunity to develop an ongoing relationship with the allied health affiliated partners directly. The package is designed to give organisations a strong presence at the conference and the continuation of the relationship between conferences. Logo and acknowledgement as a Meeting Partner on all meeting materials including print, PDFs and broadcast emails. Four banners displayed during the meeting: two in the plenary hall and two in the catering area. Two exhibition booths in a preferred position (subject to the date of booking). Logo, hyperlink and 200 word profile on the meeting website. Logo, hyperlink and 200 word profile on the meeting App. Opportunity to distribute one gift at registration. Becoming a Platinum Sponsor gives you the opportunity to value-add your exhibition at the meeting by accruing a range of branding and advertising benefits. 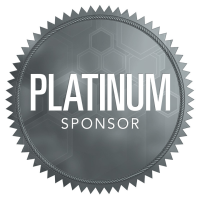 Logo and acknowledgement as a Platinum Sponsor on all meeting materials including print, PDFs and broadcast emails. Two banners displayed during the meeting: one in the plenary hall and one in the catering area. Six full registrations including social functions. Gold sponsorship allows you to value-add your exhibition at the meeting by accruing a range of branding and advertising benefits. Logo and acknowledgement as a Gold Sponsor on all meeting materials including print, PDFs and broadcast emails. 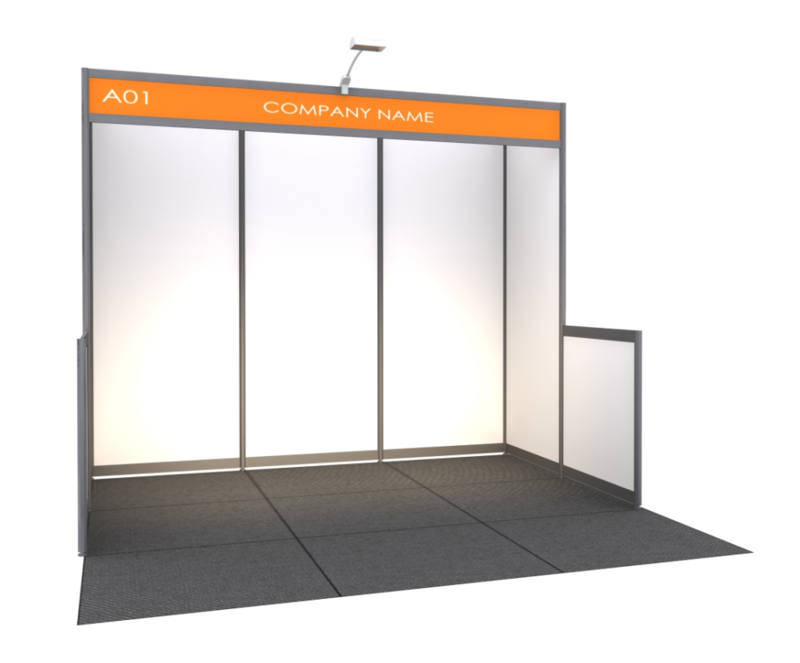 One exhibition booth in a preferred position (subject to the date of booking). Silver sponsorship enables your organisation to show its support for the Allied Health industry and the affiliated partners and also have a presence at the conference. Logo and acknowledgement as a Silver Sponsor on all meeting materials including print, PDFs and broadcast emails. Four full registrations including social functions. This event is always a highlight for delegates. It is the first opportunity for delegates to connect at the meeting. This is also one of only two opportunities to address delegates at the conference. Logo and acknowledgement as Welcome Reception Sponsor on all meeting material including print, PDFs and broadcast emails. Opportunity to address delegates during the Welcome Reception (5 minutes). Two pull-up banners displayed in prominent locations during the Welcome Reception. The Exhibitor Party is the second social gathering at the meeting. Sponsoring this function is a fantastic opportunity to promote your organisation in a fun and relaxed environment. This sponsorship also includes a chance to address delegates. Logo and acknowledgement as Exhibitor Party Sponsor on all meeting material including print, PDFs and broadcast emails. Verbal acknowledgement as Exhibitor Party Sponsor during the Exhibitor Party. Opportunity to address delegates during the Exhibitor Party (5 minutes). Two pull-up banners displayed in prominent locations during the Exhibitor Party. Four complimentary tickets to the Exhibitor Party. This opportunity allows you to sponsor an area within the catering area for delegates to have informal conversations between sessions and meetings. The Barista Cafe will have a barista serving coffee, hot chocolate and tea from arrival to afternoon tea Tuesday and Wednesday of the meeting. The cafe includes a barista and up to 500 coffees per day. If you have a booth the barista will be placed adjoining this site. Power will be available if the sponsor wants to provide a display screen. Logo and acknowledgement as Barista Sponsor on all meeting materials including print, PDFs and broadcast emails. Two pull-up banners (up to 1m wide) in the Cafe. This sponsorship opportunity offers prominent exposure of your organisation and logo. Each delegate will receive a name badge when they register at the meeting. Logo and acknowledgement as Name Badge Sponsor on all meeting material including print, PDFs and broadcast emails. Your logo, company profile (200 words) and hyperlink will be included on the delegate Conference App. With your logo on every page and an option for your own custom survey to delegates of up to 8 questions. This App will be the delegates go-to source for digital information on the conference including the program, speaker profiles, venue maps and much more. Logo and acknowledgement as Meeting App Sponsor on all meeting material including print, PDFs and broadcast emails. Logo footer banner on the meeting app. Opportunity to include an optional delegate survey tailored to your organisation (8 questions). As a Pre-Conference Workshop Sponsor your organisation will be exposed to a captive audience who will associate your organisation with an engaging and valuable session and facilitators. A range of international and national speakers will be invited to present pre-conference workshops at the meeting. This opportunity is subject to the approval of the workshop facilitators and the committee. All workshops will be held on Monday 5th August 2019. Logo & hyperlink displayed with the Pre-Conference Workshop on the meeting website. Logo displayed with the Pre-Conference Workshop on the on-line program. Verbal acknowledgement as Pre-Conference Workshop Sponsor at the commencement the session. Logo printed with the Pre-Conference Workshop in the pocket program. Logo & hyperlink displayed with the Pre-Conference Workshop in the meeting App. *View the Pre-Conference Workshops on the conference website. Permission will be sourced from the facilitators to be affiliated with the sponsor prior to confirmation of the package. As a Keynote Speaker Sponsor your organisation will be exposed to a large captive audience who will associate your organisation with a world leader in your field. A range of international and national keynote speakers will be invited to present at the meeting. Logo & hyperlink displayed with the speaker on the meeting website. Logo displayed with the speaker’s session on the on-line program. Verbal acknowledgement as Keynote Speaker Sponsor at the commencement the relevant session. Logo printed with the speaker’s session in the pocket program. Logo & hyperlink displayed with the speaker’s session in the meeting App. *View the Invited Speakers on the conference website. Permission will be sourced from the speaker to be affiliated with the sponsor prior to confirmation of the package. Each participant will receive a satchel printed with your logo. Your logo is guaranteed to be seen every day during the meeting. The satchel will be selected to ensure delegates keep using it after the meeting. Logo and acknowledgement as Satchel Sponsor on all meeting materials including print, PDFs and broadcast emails. Logo and acknowledgement as Pocket Program Sponsor on all meeting material including print, PDFs and broadcast emails. Logo on the front cover of the pocket program*. Logo in the footer of each page. Advertisement on the back cover of the pocket program (A6). * Note, other high level sponsors will also be acknowledged within the pocket program. Day catering sponsors will be acknowledged in the pocket program, on-line and app programs and with A4 signs on the buffet tables. Logo & hyperlink displayed with the catering breaks on the on-line program. Logo on A4 signage displayed on catering station. Logo printed in the pocket program next to the day’s catering. The meeting website is the main information source for delegates in the lead-up to the meeting. Regular updates and extensive program and speaker information will ensure delegates will be visiting regularly – seeing your logo each time. Logo & hyperlink on each page of the meeting website. Your logo and web address will be included in all pre-meeting email marketing. A meeting update will be emailed to potential delegates approximately every month. This is the ideal opportunity to build your brand with delegates before they arrive at the meeting. The exhibition will run for the duration of the meeting with morning tea, afternoon tea and lunch served in the exhibition area. The Monday Welcome Reception and Tuesday Exhibitor Party will also be held here. As with previous years an app based game will be run to encourage delegates to visit and interact with the exhibition. The Organising Committee appreciated donations of delegate prizes from the exhibiting companies for this game. The prizes will be drawn in the closing plenary. For more information please contact Anna Patterson. Exhibition discounts will be considered for smaller not for profit organisations on a case by case basis. Please contact Anna Patterson (anna@conferencedesign.com.au) at the conference secretariat if you wish to apply to be considered. Please see the exhibition floor plan below. All catering will be held in this area including the Monday Welcome Reception, Tuesday Exhibitor Party and daily catering for Tuesday and Wednesday (main conference days). Companies will be given choice of booth position in order of their booking date and level of sponsorship. Important: Booths will be renumbered on the final plan once unsold sites are removed. Please do not advertise your number to delegates until the final floor plan is released. Site Selection: You will be asked to entre your top three choices when booking. Sponsoring and Host organisation exhibitors will have first choice of corner sites so please identify non-corner sites if you are exhibiting only.